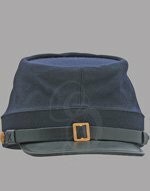 The Civil War Confederate Revolver Replica is 13 1/2 inches overall. 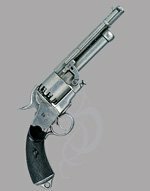 It is a southern percussion six-shot (cap and ball) revolver circa 1860. 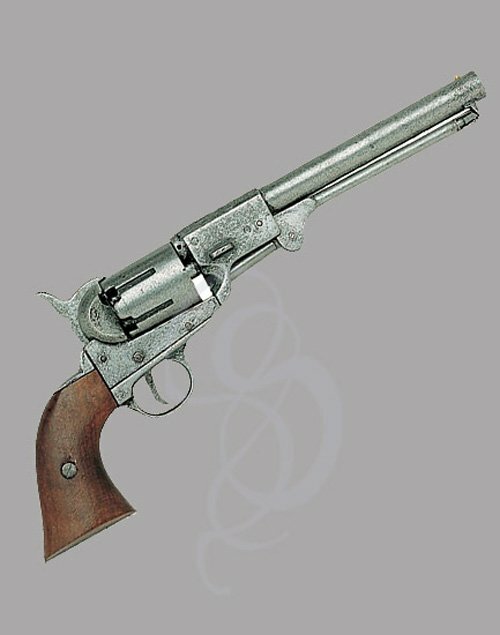 The gun features wood grips and an Antique gray gun metal finish. Add the holster for the finishing touch.